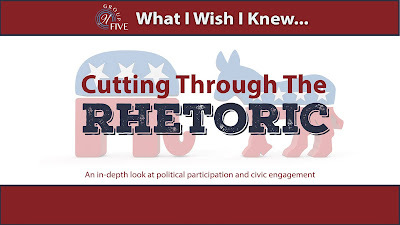 Group 91Five, KJZZ's young professionals, is hosting Cutting through the Rhetoric, the next installment in the group's What I Wish I Knew series. The event takes place Thursday, Oct. 1, from 5:30-7 p.m. at the Rio Salado Conference Center and will feature an in-depth discussion of political activism, and the nature of public discourse during a presidential election year. 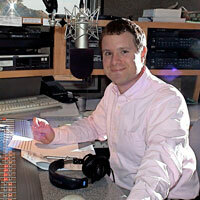 The discussion will be moderated by KJZZ’s Mark Brodie. The panel includes Alberto Olivas, MCCCD Center for Civic Engagement Director; Sarah Suggs, O'Connor House President and CEO; Darcy Renfro, The Arizona We Want Institute Director, and Jaime Molera, Co-founder of Molera Alveraz Government and Public Affairs Consulting. For more information visit the KJZZ Facebook page or contact Tricia Moore at tmoore@rioradio.org.